In July 2013 NHS Wales published the All Wales Standards for Accessible Communication and Information for People with Sensory Loss. The Standards suggest; “all staff should be trained in how to communicate effectively with someone with a sensory loss and the training should reflect a person centred approach, particularly important for clinical staff as the patients need to understand what is being communicated to them.” This standard would be an appropriate standard for all organisations to follow. 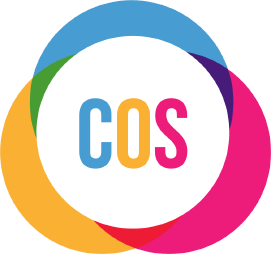 COS is able to deliver training to your staff in an efficient and practical way with minimum disruption to your services, and going a long way to help improve them. Learn more about combining your awareness training and begin your understanding of the needs of people who are Deaf, hard of hearing, blind, visually impaired and with dual sensory loss. Becoming a Mental Health first aider will give you the necessary skills to have an informed and non-judgmental conversation with people in your organisation. Our Digital Inclusion Training is a beginners guide to using a devices such as mobile phones, iPads and Android tablets, iMac's and PC's and MacBook's and Laptops. This course is open to people with and without sensory loss. Adults are often reluctant to admit difficulties with reading and writing. Supporting an adults literacy needs and developing their skills is an important aspects in building self-esteem and showing them the benefits of developing these skills for all aspects of life. Our consultancy team can provided professional and expert advice in helping you support, provide services and work with people with a sensory loss.